The ushering of the New Year is usually accompanied by predictions. However, unlike the spiels you usually hear from fortune tellers at your local flea market, these predictions are more reliable since they are backed by some of the most important names in the internet and tech world. As we all know, WordPress is powering approximately half of the world’s website. 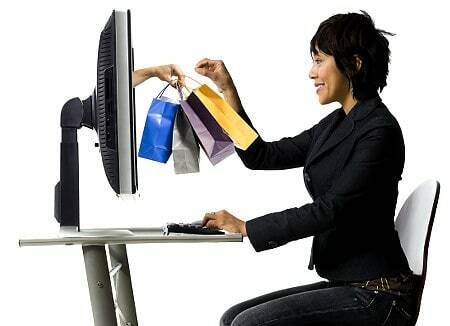 It is being used not only for blogging and networking; it is also the top choice for E-Commerce websites. With so many users around the globe there might be people who are wondering what’s 2019 going to look like for WordPress and E-Commerce? Let’s ask the experts who were present in Nashville for the WordCamp US in early December of last year. WordCamp is the national conference for WordPress. Zach Barrientos of PayPal merchant services is predicting a boom in the marijuana industry. He explains that as the US federal government regulates the industry, demand for the product will increase and so will the number of sites catering to this type of business. Matt Cromwell is a partner and head of support for GiveWP.com. His prediction centers around donations and non-profits. His prediction is in line with the increase of donations given in the US during Giving Tuesday. According to him, people in the US gave $70 million in 1 day and he sees this number increasing phenomenally. Donations are part of e-commerce so many people are paying attention to this space. Mindsize Partner Patrick Garman predicts more people moving out of the WooCommerce space and moving to WordPress. WooCommerce will remain as a heavy player in the e-commerce space because everyone can use this and WordPress to start their shop. As stores grow and expand there will be many users who will have a love-hate relationship with these builders. This is why he predicts that WordPress will develop a more hybrid approach with other platforms like Big Commerce and Shopify to help provide solutions. He hopes that solutions generated by these players will be agnostic so that it will become easier to integrate between WordPress and whatever platform they are using. GoDaddy hosting supervisor Justin Nealy helps people set up their websites every day and predicts that e-commerce ecosystems like WordPress will make it easier for newbies to create an online store. While WordPress is easy to set up, it can be overwhelming to somebody completely new to creating a website or selling online. With help from plugins like Gutenburg, he states that anybody can create a WordPress site with whatever plugin they want. Brian Richards runs WPSessions and by extension WordSesh conferences. His prediction for 2019 is a more headless style e-commerce approach just like what BigCommerce is bringing to WordPress. He is interested in seeing more boutique shops with people creating more independent Etsy shops because barrier of entry for these types of e-commerce shops is reduced. Chris Badgett of LifterLMS on the other hand predicts a shift from off hosted eCommerce to WordPress eCommerce due to GDPR and privacy issues in Europe. He predicts that users from this area will want to move from the SAS kind to self-hosted WordPress so they have the data located in their country, which is one of the requirements for European GDPR. He also predicts more complex tax issues in e-commerce and hopes to continue to see more innovation in this space. He predicts that more players will emerge in the tax solutions so that the average user can easily figure out and manage tax especially on a global scale. What are your e-commerce and WordPress predictions for this year? What do you think about the predictions above? Tell us by leaving your comments below.